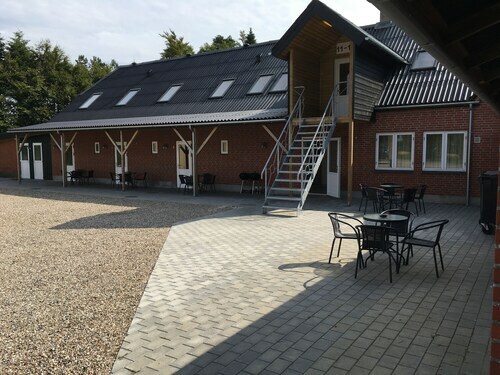 Situated in a rural location, this hotel is 1.3 mi (2.1 km) from Grindsted Kirke and within 9 miles (15 km) of Legoland Park and Lego House. Lalandia Water Park and Gyttegard Golf Club are also within 9 miles (15 km). 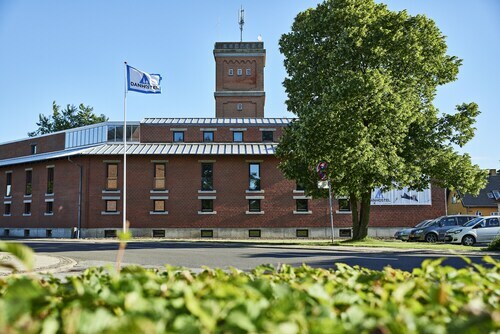 This family-friendly Billund hotel is located near the airport, within a 10-minute walk of Legoland Park and Lalandia Water Park. Lego House is 0.6 mi (1 km) away. 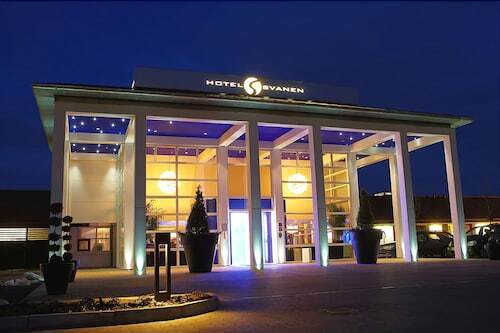 Situated near the airport, this hotel is within 3 miles (5 km) of Legoland Park, Lalandia Water Park and Lego House. Sculpturepark Billund is 1.8 mi (2.9 km) away. 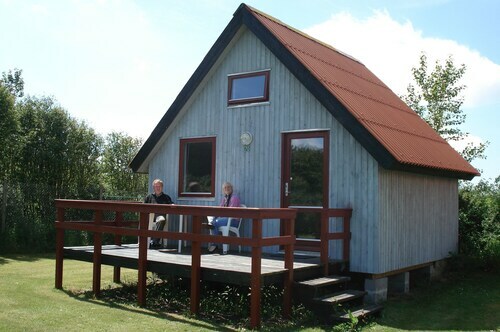 Situated in Grindsted, this hostel is within 9 mi (15 km) of Gyttegard Golf Club, Lego House and Legoland Park. Sculpturepark Billund and Lalandia Water Park are also within 9 mi (15 km). 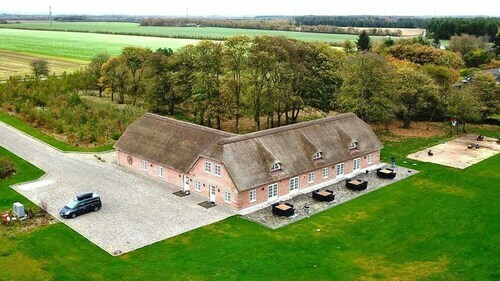 Situated in Billund, this guesthouse is 1.5 mi (2.5 km) from Gyttegard Golf Club and 3 mi (4.8 km) from Lego House. Legoland Park and Lalandia Water Park are also within 6 miles (10 km). 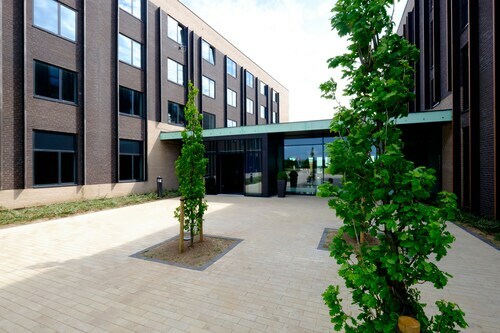 Situated near the airport, this hotel is within a 10-minute walk of Sculpturepark Billund and Lalandia Water Park. Legoland Park and Lego House are also within 1 mile (2 km). This family-friendly Grindsted campsite is located in a rural location, 0.9 mi (1.5 km) from Grindsted Kirke, and within 9 mi (15 km) of Legoland Park and Kvie Lake. Gyttegard Golf Club and Lego House are also within 9 miles (15 km). Located in Grindsted, this family-friendly guesthouse is 5.5 mi (8.9 km) from Kvie Lake, and within 12 mi (20 km) of Gyttegard Golf Club and Lego House. Legoland Park is 11.6 mi (18.7 km) away.